While not conducting his post-doctoral research on Brain and Behavior at The Rockefeller University, Jerusalem native Yoav Litvin can be found on our city streets pursuing his passion for street art. We recently met up for a chat. 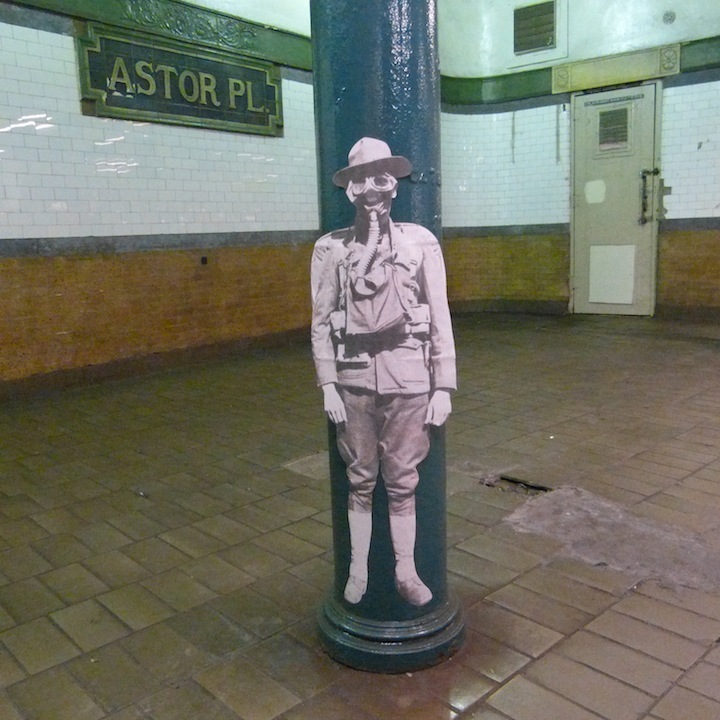 What spurred your interest in public art? As a result of an injury, there wasn’t much I could do other than walk around. So that’s what I did. And once I began to notice street art, I couldn’t stop taking photos of it. I also appreciate the risks artists take when putting up pieces; it’s a rush I can relate to. And I admire the artists’ generosity in taking these risks to share their vision with the public. 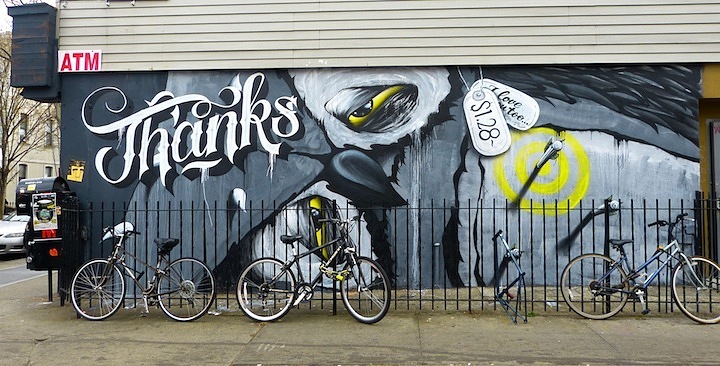 What is it about street art that continues to so engage you? I love its beauty and humor. I appreciate its aesthetic and the way it challenges convention. It is a beautiful, non-violent way to raise issues in the public sphere. And as a political person, I am drawn to the confrontational nature of much of it. 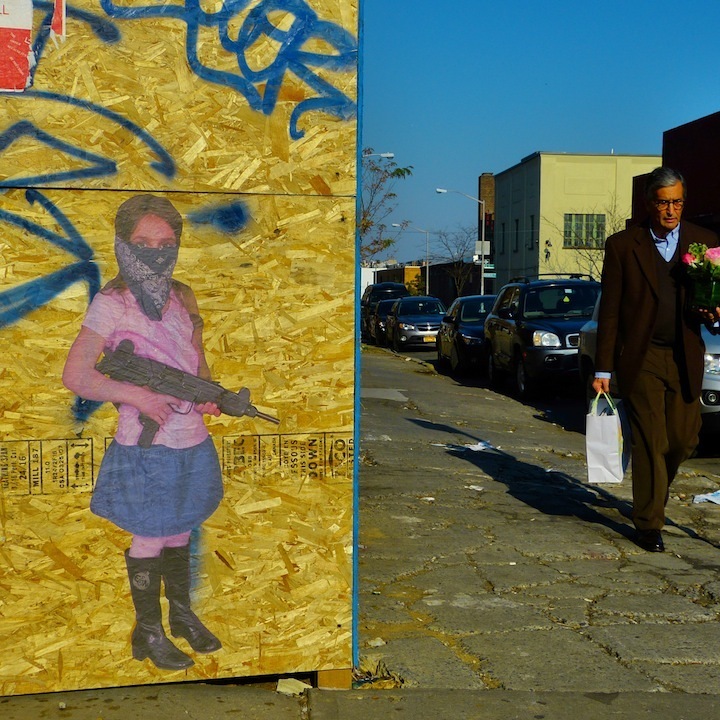 What do you see as the role of the photographer in today’s street art movement? Because of the transient nature of public art, I see it as essential. The image is important, but so is its context and appropriate accreditation to the artist. 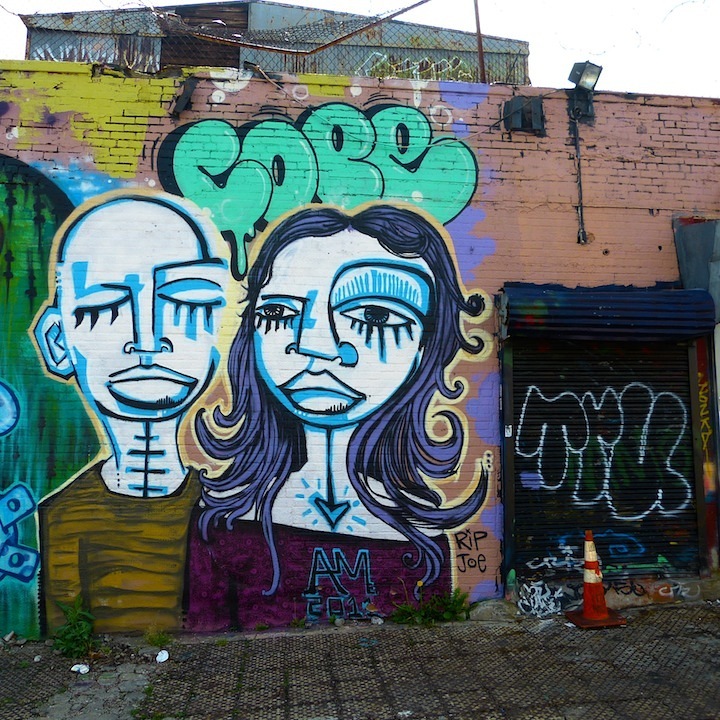 And documentation of NYC’s street art trends is especially essential as this city is the world’s cultural Mecca. I’ve been working for over a year now on a book that profiles 46 of the most prolific urban artists working in NYC. It will feature images and interviews, along with some exciting supplements. Have you any favorite artists whose works you’ve seen here in NYC? There are too many to list. I love them all for different reasons. How do you keep up with the current scene? 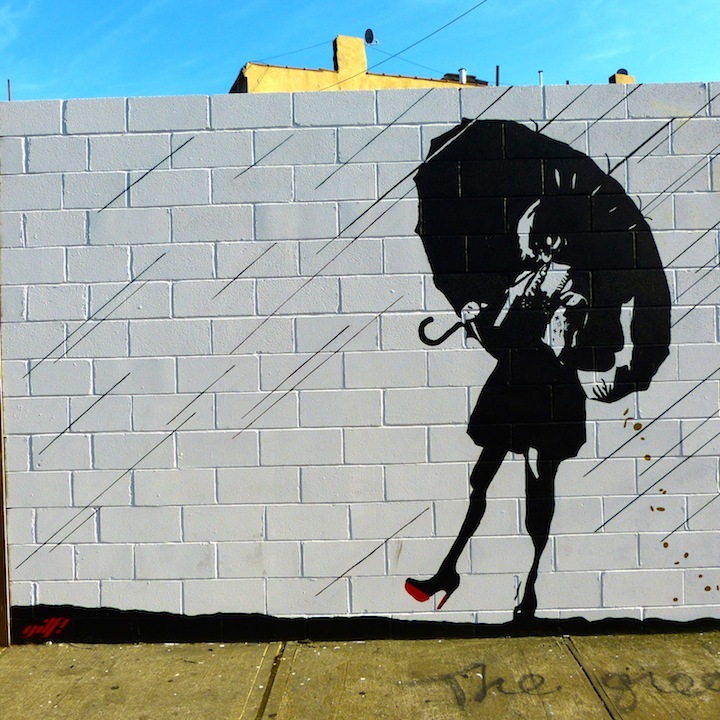 In addition to documenting what I see and speaking to artists, I follow popular street art blogs such as StreetArtNYC, Brooklyn Street Art and Vandalog. I also check Instagram daily for new images that surface not only on NYC streets, but across the globe. And I try to attend gallery openings as often as possible. We certainly look forward to reading your book. Tell us more about its current progress. How close it is to publication? I’ve finally completed the stage of collecting texts and images, and am currently working together with a first-rate designer. I am now seeking a publisher. 1) Dain. Wythe Avenue, Williamsburg, Brooklyn. 2) Alice Mizrachi and Cope2. Boone Avenue, The Bronx. 3) Never Satisfied. Bedford Avenue, Williamsburg, Brooklyn. 4) gilf! 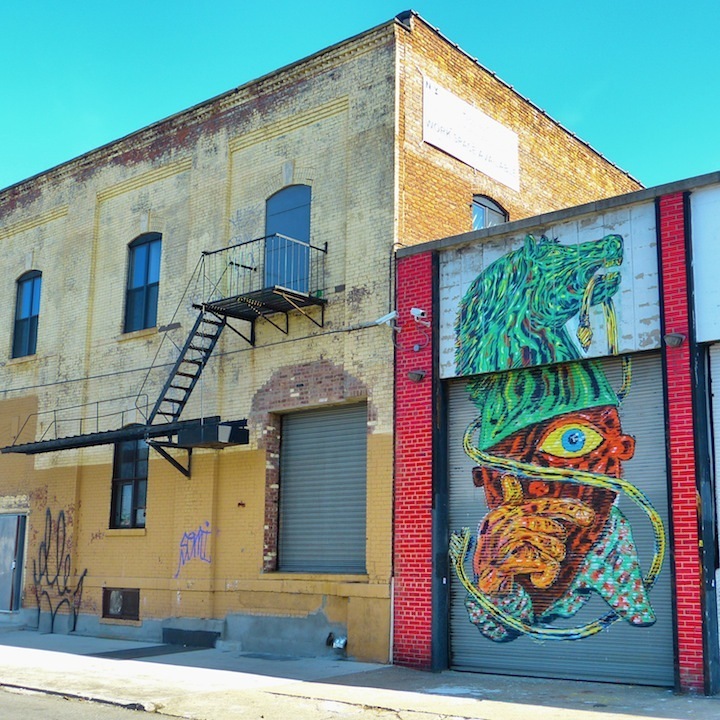 Grattan Street, Bushwick, Brooklyn. 5) Jilly Ballistic. Astor Place 6 Train station, Manhattan. 6) Enzo and Nio. 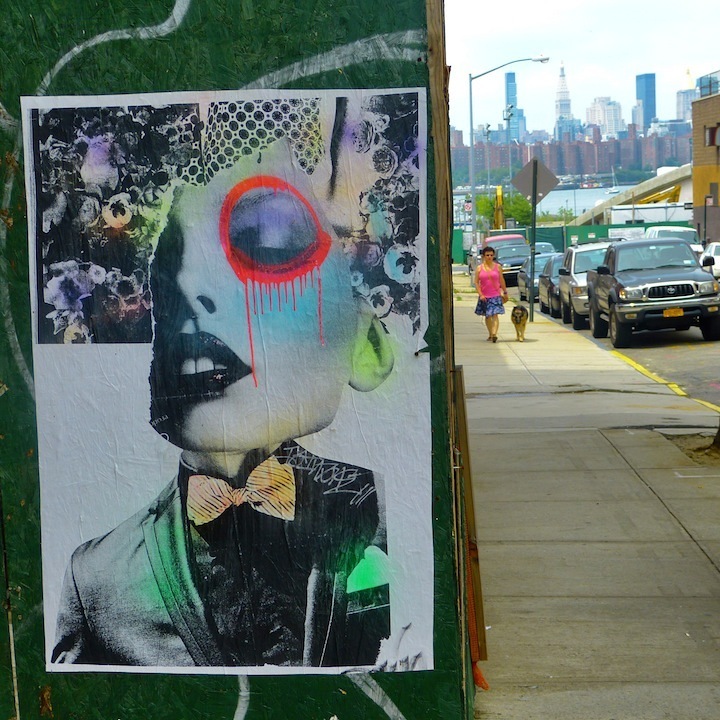 Wythe Avenue, Williamsburg, Brooklyn. 7) ND’A and Elle Deadsex. Jefferson Street, Bushwick, Brooklyn. All photos by Yoav Litvin.